I can't wait for the next. I was so pleased when this popped up in my recommendations that I didn't even hesitate to buy it. I was pleasantly surprised with her treatment of the non-binary character Indigo and using singular 'they' as Indigo's pronoun. That certainly helped bump this up from 4.5 to 5 stars for me. What an absolute delight to have the return of Sid! This latest offering really highlighted the relationship and teamwork of Sid and Georgia. 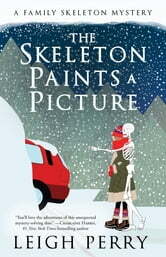 I really enjoyed the whodunit and look forward to reading the next in the series. I voluntarily reviewed an Advance Reader Copy of this book. Art theft and murder don’t usually go hand in hand but you never know what goes on in other people’s brain’s. Could be something small, unrelated. Or nothing at all. Georgia and Sid have a lot on their plates this time. When I saw that the fourth book in this series was from a different publisher, I was worried that the quality of writing or editing would drop. Thankfully, it did not. 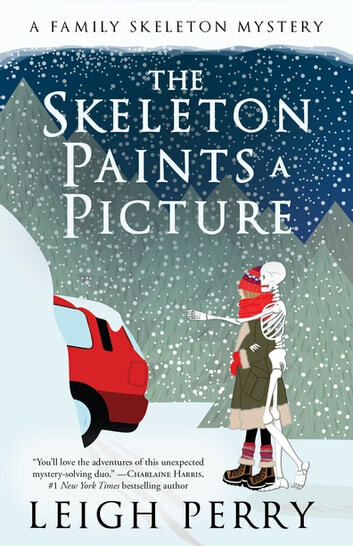 Everything I love about Leigh Perry's cozy paranormal mysteries is here: smart, likable main characters, witty banter, learning about teaching, this time at an arts school, and the most natural use of current technology in any mystery series I've read. Oh, and a well plotted investigation, too. I am one of those readers for whom the who-done-it is secondary – my primary interest is escaping into another place and into someone else's life for a while. This book accomplished that, and I look forward to the next one.